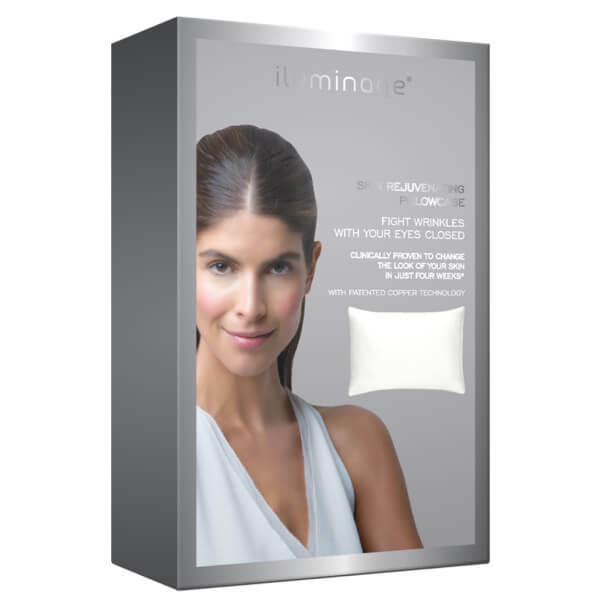 The Skin Rejuvenating Pillowcase in White from Iluminage offer an overnight solution to maintain youthful-looking skin. With a silky soft feel for a comfortable night's sleep, the innovative pillowcase has been clinically proven to visibly reduce the appearance of ageing, including fine lines and crow's feet, in as little as four weeks. Pillowcase fibres are infused with copper oxide, an essential mineral to allow you to fight wrinkles with your eyes closed. When in contact with skin, copper ions are transferred into the moisture space between the fabric and skin to promote natural cell renewal. Safe and non-irritating to skin. Use daily for all your sleeping hours. 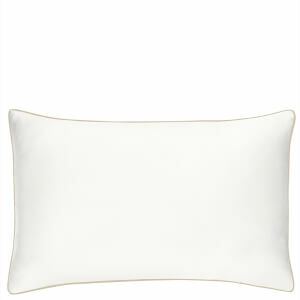 Slip the Skin Rejuvenating Pillowcase over your standard-sized pillow, and sleep on it night after night. Machine washable.